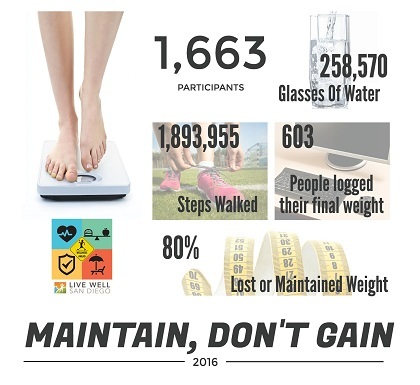 More than 1,600 participants recorded their steps, water consumption and weight over eight weeks during the “Maintain, Don’t Gain” challenge. The Employee Wellness program recommended healthy habits to get us through the holiday season. More than 80 percent of the participants that logged a final weight maintained or lost pounds. Check out the successes of the fourth quarter program above and visit Employee Wellness on InSite for additional information on programs.